Our MFC 02 Flash was crowned champions in the U15 girsl division at Soccer by the Bay 2016. Flash combined a relentless attack and a stout defense as their formula for success to post three shut outs in four of their matches. Flash was tested over and over again, but played with focus and control to best 49er United SC 3-2 in the opening match. Force South 02 NPL tried using fantastic ball movement, but Flash continued to execute their game plan to prevail 1-0. 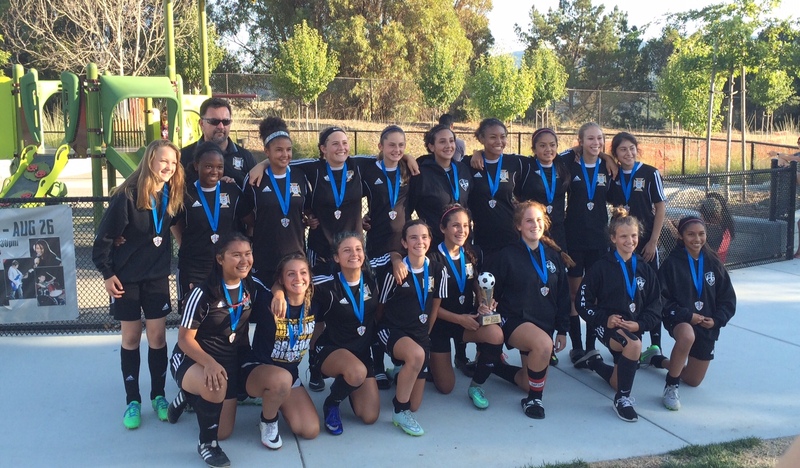 After Flash stunned Diablo FC in the first three minutes with two goals for a 6-0 win, our girls faced a determined home team San Carlos United in the final game and earned the title with a 1-0 victory.